The quality protection you need starts here. GIA can help! Commercial Liability Insurance, Garage and Garagekeeper’s Insurance, Inland Marine Insurance, Commercial Property, Data Breach, Kidnap, Ransom, or Extortion, Risk Management Consulting, and much more. Homeowners’ Insurance, Specialty Insurance, Valuable Property Coverage, Umbrella Liability Insurance, Farm and Ranch Owners’ Insurance, and much more. GIA evaluates the total cost of risk and helps develop solutions tailored to meet risk management strategy. GIA provides Windstorm coverage through TWIA and has options through other companies for properties that qualify. GIA provides flood coverage through the National Flood Insurance Program (NFIP) and has other options for properties that qualify. Save money on your auto insurance. 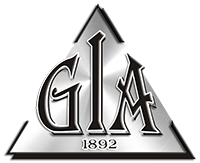 GIA will help you find the right auto insurance. It’s quick and easy! Providing customized asset protection for affluent homeowners. Not sure which insurance you need? Our associates can help! DISCLAIMER: Statements on this web site as to policies and coverages provide general information only. This information is not an offer to sell insurance. Insurance coverage cannot be bound or changed via submission of any online form/application provided on this site or otherwise, social media, e‐mail, voice mail or facsimile. No binder, insurance policy, change, addition, and/or deletion to insurance coverage goes into effect unless and until confirmed directly by a licensed agent. Any proposal of insurance we may present to you will be based upon the information you provide to us via this online form/application and/or in other communications with us. Please contact our office at (409) 740-1251 or (281) 442-1892 to discuss specific coverage details and your insurance needs. All coverages are subject to the terms, conditions and exclusions of the actual policy issued. Not all policies or coverages are available in every state. Information provided on this site does not constitute professional advice; if you have legal, tax or financial planning questions, you should contact an appropriate professional. Any hypertext links to other sites are provided as a convenience only; we have no control over those sites and do not endorse or guarantee any information provided by those sites.